Is Mr. Dinklage the greatest actor ever? Can we start calling Peter, PD Di? 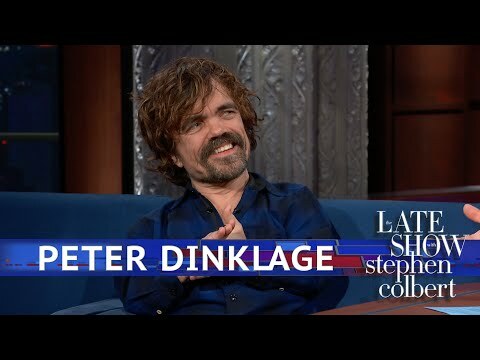 In a hotel room high above midtown Manhattan, Peter Dinklage is discussing, among other things, his present — that’d be HBO’s My रात का खाना With Hervé, in which he plays the late कल्पना Island तारा, स्टार Hervé Villechaize. When आप woke up Monday morning there was only one man in the history of टेलीविज़न who had ever won the Emmy Award for Outstanding Supporting Actor in a Drama Series three times. tallest actor in the cast and the one who i enjoy the most. How many awards did Peter won for the Best Supporting Actor? Peter as a James Bond villian?